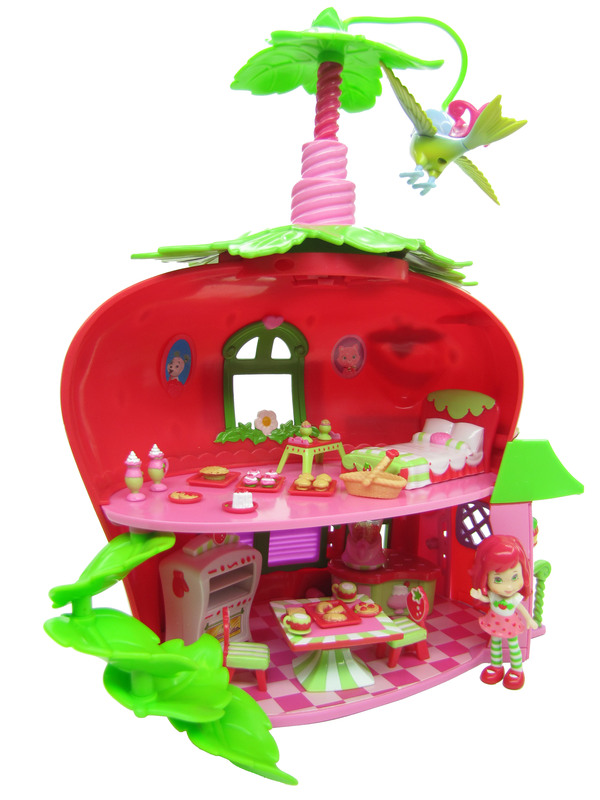 Help your Strawberry Shortcake figure serve up very special treats in her charming strawberry-shaped, berry-sweet smelling cafÃ©! Send her up and down her pull-out staircase, readying her shop and carrying delicious "croissants", "waffles", "muffins" and more from her special oven to her countertop and table. Just in case guests are thirsty, too, help her make "smoothies" in the blender that really whirls! 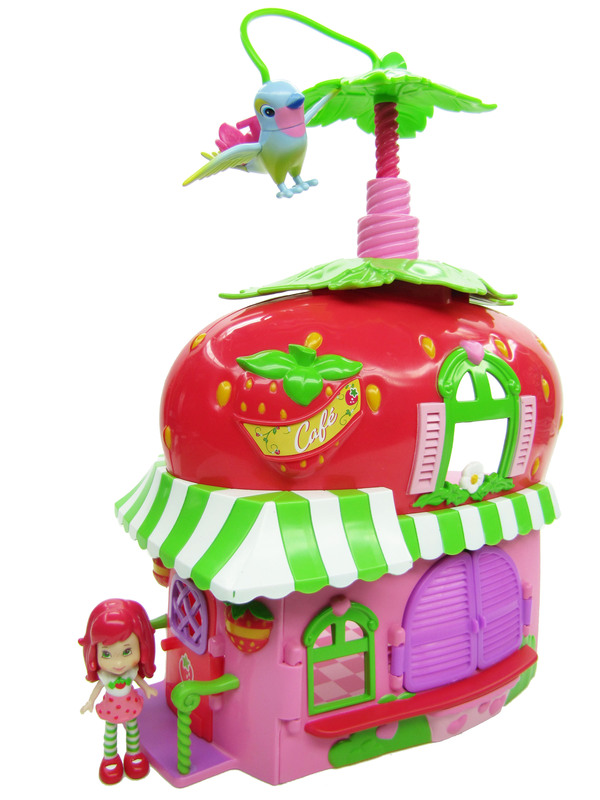 Then, when it's time to close up shop, let your Strawberry Shortcake figure relax with a ride on her special bird friend--press down on the top and around and around they'll spin! Playset comes with mini scented Strawberry Shortcake doll, dress, hat, bed, bed tray, two fruit smoothies, two ice cream cups, tray with four muffins, tray with three croissants, tray with pie, tray with four cupcakes, plate with slice of cake, plate of sandwiches, plate with waffles, plate with pancakes, two mugs, counter with smoothie blender, oven, basket, bistro table and two bistro chair accessories.